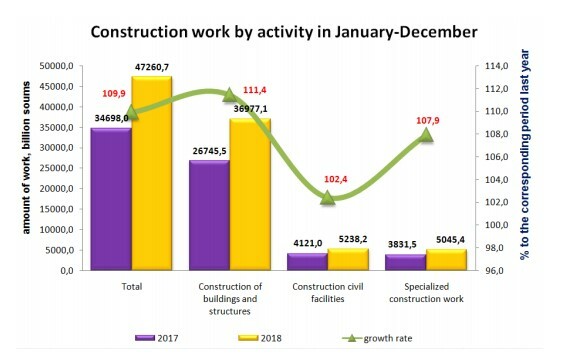 The volume of construction works carried out in January-December 2018 amounted to 47260.7 billion soums. The growth rate to the corresponding period last year reached to 109.9 %, the State Statistics Committee reported. 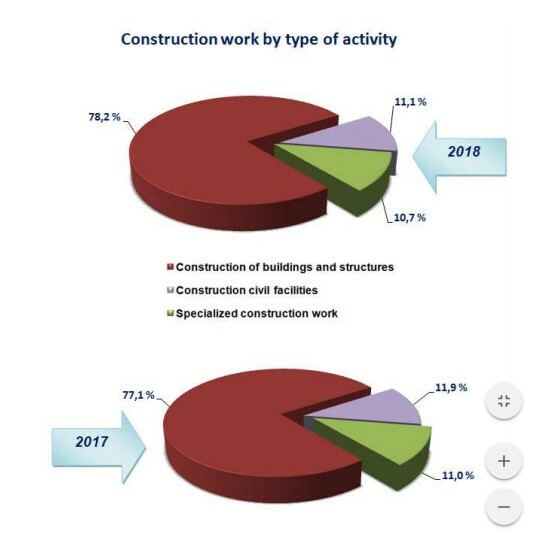 The volume of construction works performed by large construction contractors amounted to 15802.4 billion soums, or 105.5 % of the same period in 2017, the share in the total volume of construction works reached the mark of 33.4 %. Small enterprises and micro firms, in the meantime, carried out works worth 18536.1 billion soums, or 39.2 % of the total volume of constructions, the growth rate - 117.2 %. The share of the informal sector was 27.4 %, or 12922.2 billion soums, the growth rate was 105.5 %. The main part of construction works by types of economic activity was performed at the expense of design works, residential buildings and non-residential premises. Their share in the total volume amounted to 78.2%, an increase of 1.1 % compared to the same period in 2017. 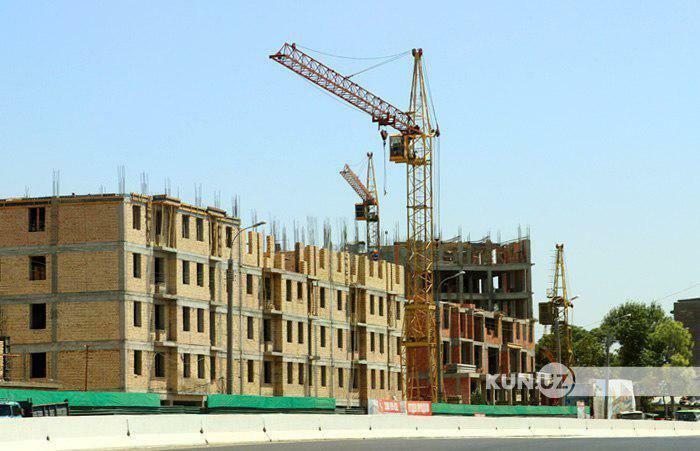 The share in the volume of construction works for such economic activity as construction of civil facilities amounted to 11.1 % and decreased by 0.8 percentage points in comparison with 2017. Accordingly, the share of small enterprises and micro firms was 33.9 % (an increase of 0.9 percentage points), the share of the informal sector - 37.2 % (a decrease of 1.7 percentage points).